‘Grace of Monaco’ Director Responds to the Princely Family of Monaco’s Disapproval of His Upcoming Film. 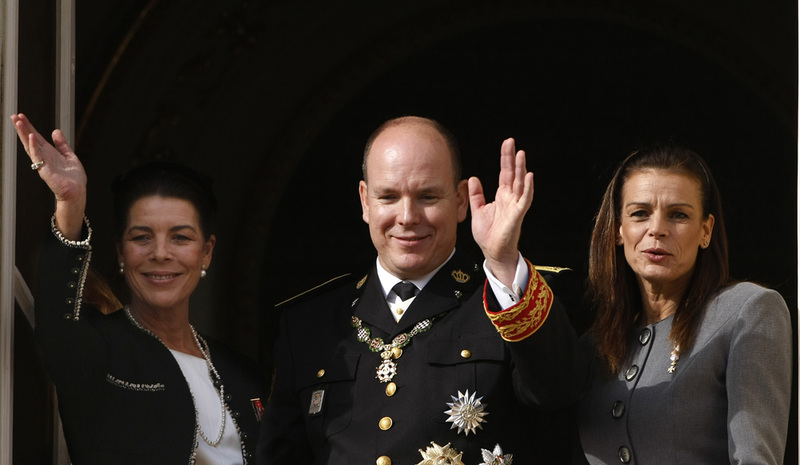 HSH Prince Albert II, HRH the Princess of Hanover and HSH Princess Stephanie of Monaco have no alternative but to clear up any confusion resulting from incorrect statements made by the producers of a feature film, given the temporary or definitive title Grace of Monaco, which claims to be about their parents. Having in no way been associated with this project, Their Serene Highnesses were quite surprised when they received the script. The Palais had submitted many requests for changes to the producers of the film, not all of which were taken into consideration. Consequently, the Princely family wishes to emphasize that this film is by no means a biopic. It recounts one page, rewritten and ‘glamorized’ for no good reason, in the history of the Principality of Monaco and their Family which includes both major historical untruths and a series of purely fictional scenes. The Palais Princier de Monaco cannot accept that, today, for commercial reasons, the producers of this film imply that they have received Their Serene Highnesses’ support in any way whatsoever, this is not the case. What do you think of the latest development/statement made by the family of Monaco, it sounds like a denial? I think there is a misunderstanding. The Paris Match article has been misunderstood. We never asked them to endorse anything. Three weeks after the start of filming, we met Prince Albert and Princess Caroline at the Palace. With respect we also sent them the script. They had made a few remarks. For those who have appeared relevant, we came back to them with corrections, but not all. They wanted me not to put too much emphasis on feelings of anti-France Monaco at the time. The film takes place in 1962. France and Monaco were going through a political crisis since General de Gaulle wanted to recover taxes and taxes on French companies residing in the principality. It is a part of the background of the film. I could not respond positively to this type of change. They also accuse you of having “rewritten and glamorizing” the history of Monaco. It is not I who ‘glamorizes’ the principality. They [the principality] do that themselves. But, I do not want controversy. I just be regarded as an artist who claims his freedom and the right to fiction. Of course there are historical inaccuracies. General de Gaulle has never set foot at the ball of the Red Cross. But, I needed it to tell my story. I am not a journalist or historian. I am an artist. I have not made a biopic. I hate biopics in general. I did, in any subjectivity, human portrait of a modern woman who wants to reconcile her family, her husband, her career. But, who will give up her career and invent another role. And, it will be painful. When I met the Grimaldi family, that’s what I tried to explain and then I had the feeling of being listened to. Perhaps more by Albert than Caroline. They are attached to the historical side of the story. Since May, we’ve only had good relations. They gave us filming permits. Today, they changed their minds. But, I understand their point of view. After all, it is their mother. I do not want to provoke anyone. Only say that it’s the cinema. 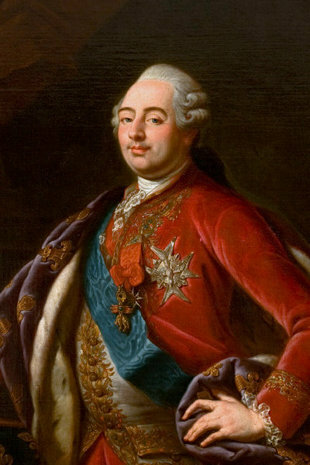 Remembering His Majesty the Late King Louis XVI of France. On January 21, 1793, His Majesty King Louis XVI of France, well, lost his head on the Place de la Révolution (known today as Place de la Concorde) in Paris. On January 21, 2013, over 50 commemorative Masses took place throughout France in honor of the late king. Please click here, here, and here to read several articles (in French) about today’s activities events. 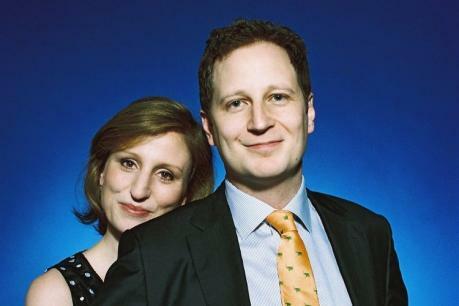 Please click here, here and here to read various articles as well as to watch videos from the BBC News, CNN, and Telegraph newspaper. On January 21, 2013, Her Majesty Queen Rania of Jordan “.. met with beneficiaries of scholarships offered by various international universities…” in Amman. Please click here for more information about today’s meeting from the Jordan Times. Meanwhile, in Riyadh, Saudi Arabia, the 3rd Arab Economic and Social Development Summit began this morning. His Majesty King Abdullah is expected to participate in this two-day event along with His Highness Sheikh Mohammed Bin Rashid Al Maktoum of Dubai as well as important officials from Qatar, Oman, and Bahrain. 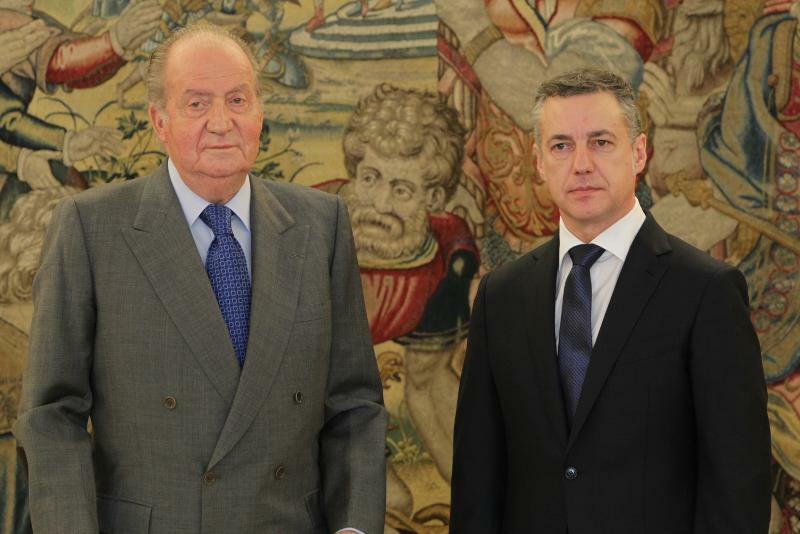 His Majesty King Juan Carlos I of Spain held an audience this afternoon at Palacio de la Zarzuela with the Lehendakari (President) of the Basque government, Mr. Iñigo Urkullu Renteria. 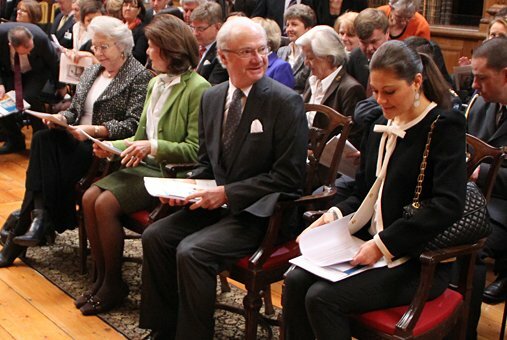 Their Majesties King Carl XVI Gustaf and Queen Silvia of Sweden along with Her Royal Highness Crown Princess Victoria and Princess Christina, Mrs. Magnuson, attended the seminar, Goda Idéer för en bättre värld: Ett samtal om de Kungliga Stiftelserna, held inside the Bernadotte Library at the royal palace in Stockholm. 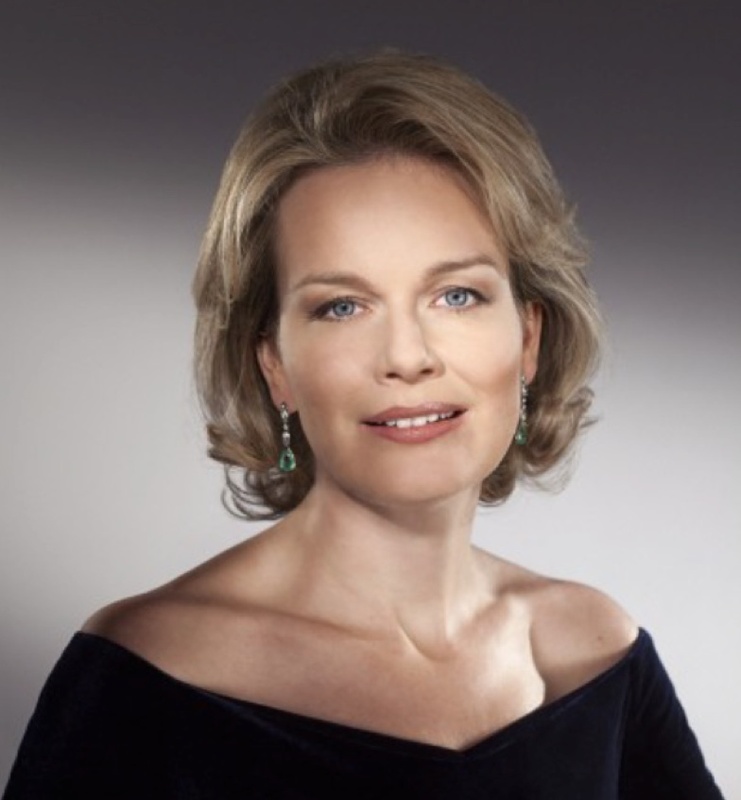 Her Royal Highness Princess Mathilde of Belgium Participates in a Seminar in Ghent. On January 21, 2013, Her Royal Highness Princess Mathlide of Belgium was at the Marriott Hotel in Ghent to participate in the seminar, Transatlantic Forum on Inclusive Early Years: Addressing Disparities in Access for Migrant Children from Low-Income Families. On January 21, 2013, Her Majesty Queen Beatrix of the Netherlands along with Their Royal Highnesses Prince Willem-Alexander of Oranje and Princess Maxima of the Netherlands and representatives of a Dutch trade delegation, began their two-day state visit to Brunei Darussalam. The purpose of the trip is to strengthen economic and bilateral ties between the Netherlands and Brunei Darussalam. After the official welcoming ceremony at Istana Nurul Iman palace, then taking a boat trip as well as touring a museum, Her Majesty along with the prince and princess attended a gala state banquet in the evening. Click here, here and here to watch videos from the gala dinner. Click here and here to read two articles from the Brunei Times. 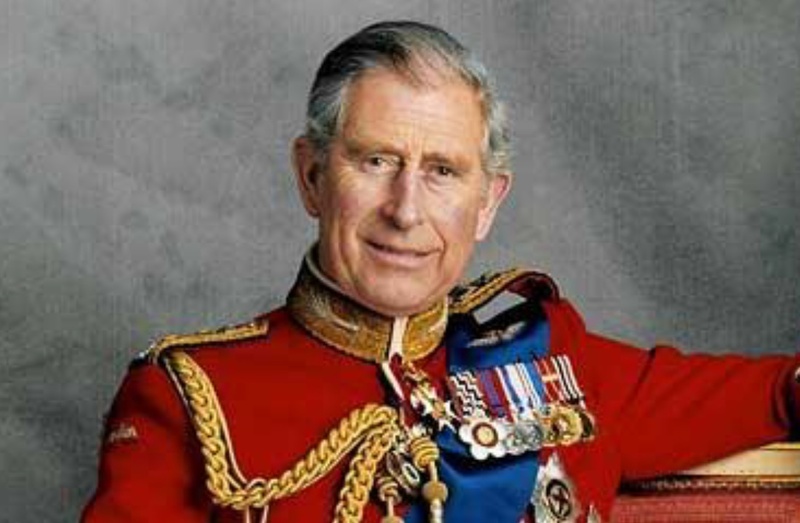 On January 21, 2013, His Royal Highness The Prince of Wales visited Merseyside and Liverpool. The prince also attended the re-opening of the newly restored Florence Institute for Boys in Merseyside. Afterward, The Prince of Wales traveled to Liverpool where he toured the manufacturing company, Harrison Advanced Rods. Whilst there he met with staff and toured the facility. For more information about today’s activities please click here (video), here, here, here, here and here. To view another set of photos please click here. His Serene Highness Prince Albert II of Monaco visited the Centre National de Gestion de Crise (CNGC) in Monte-Carlo on January 18, 2013. On Sunday, Her Serene Highness Princess Charlene of Monaco was in Paris to attend the Atelier Versace Spring/Summer 2013 Haute Couture show. The princess was a special guest during last night’s event along with R&B singer, Ne-Yo, actress Ms. Olivia Munn, Academy Award winner, Kevin Costner and his wife, and actress Ms. Melissa George to name a few.